Size (mm): 50H x 95W x 35D. Clearance (mm): 44 Horz. x 54 Vert. Sold Secure GOLD & Thatcham. Super Strong Disc Lock. Sold Secure and Thatcham approved. Universal disc lock with handy carrier and rider warning cable. Lock mechanism with hardened steel armour casing. 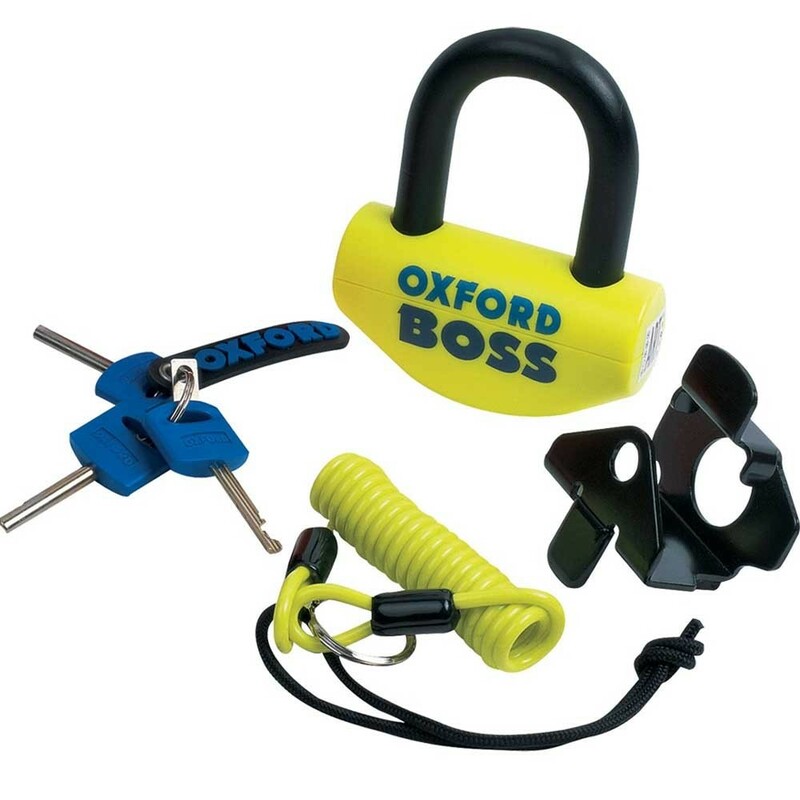 Unique double locking system with hardened steel shackle.